Remember last summer when (after 6 years of “putting my foot down”) we had new granite countertops installed in our kitchen? 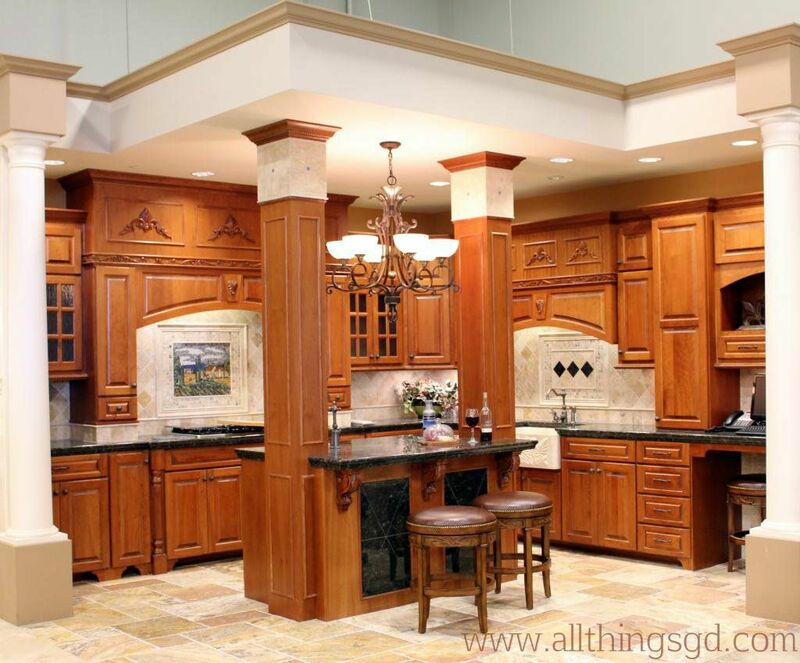 Well sure enough, that triggered my desire to give our kitchen an even bigger facelift! I’ve always wanted to do a tile backsplash in the kitchen but it was a project I didn’t want to tackle until after we had upgraded the countertops. 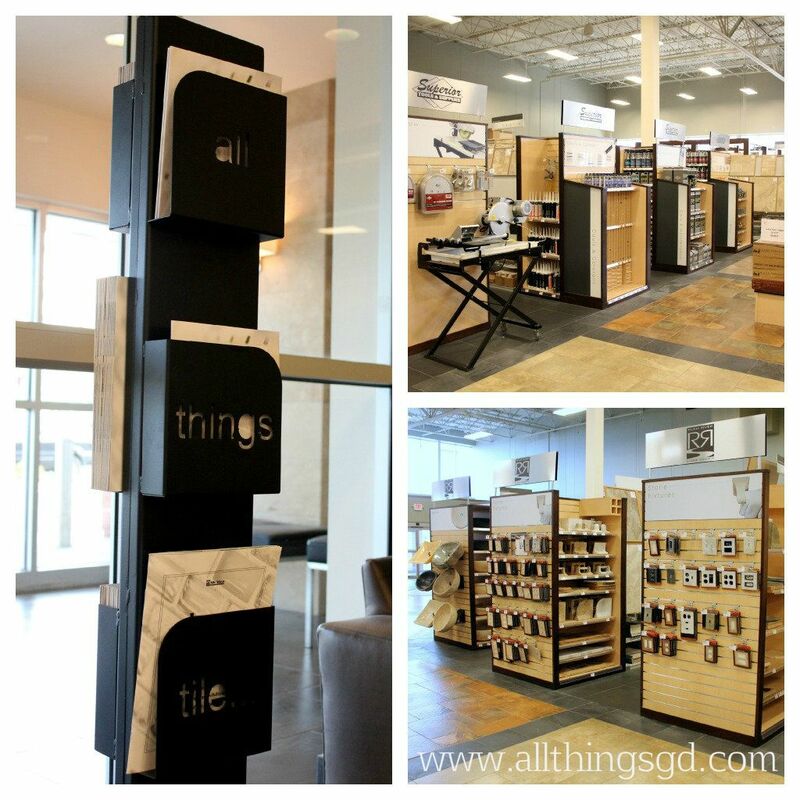 Now that we had that checked off our list, it was time to talk tile – and you can’t talk tile without The Tile Shop! I’m so excited to partner with The Tile Shop on my kitchen backsplash project that over the next few Tuesdays I’ll be walking you through my entire process from start to finish! Let’s start with my first visit to our local Tile Shop store in Madison, WI. It’s impossible to walk into this store and not be inspired! 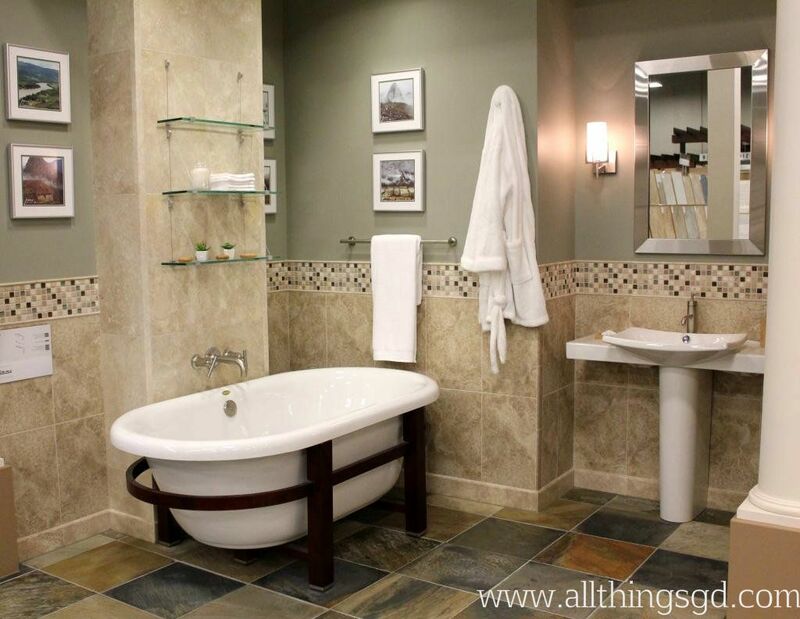 The entire perimeter is lined with gorgeous tile-filled bathroom and kitchen displays featuring all sorts of different tile colors, patterns, shapes, textures, and combinations. 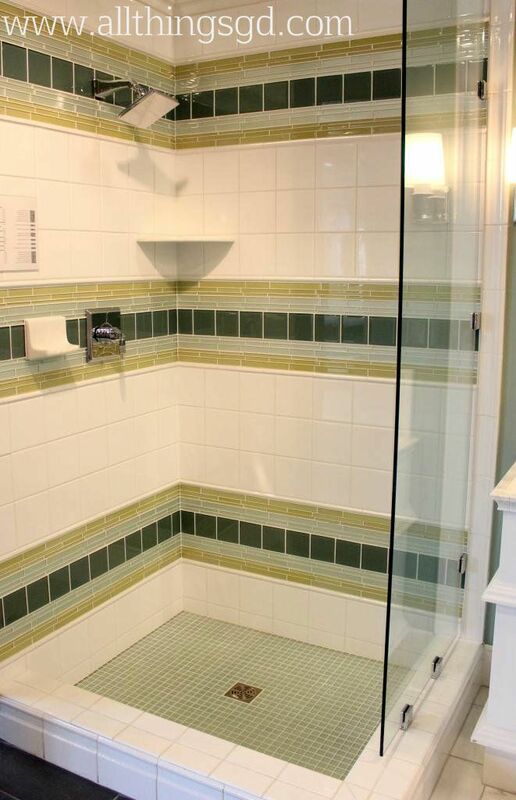 Want to know how the glass tile sample you’re considering will look across an entire shower wall? Look down the aisle to your right for a full-scale example. 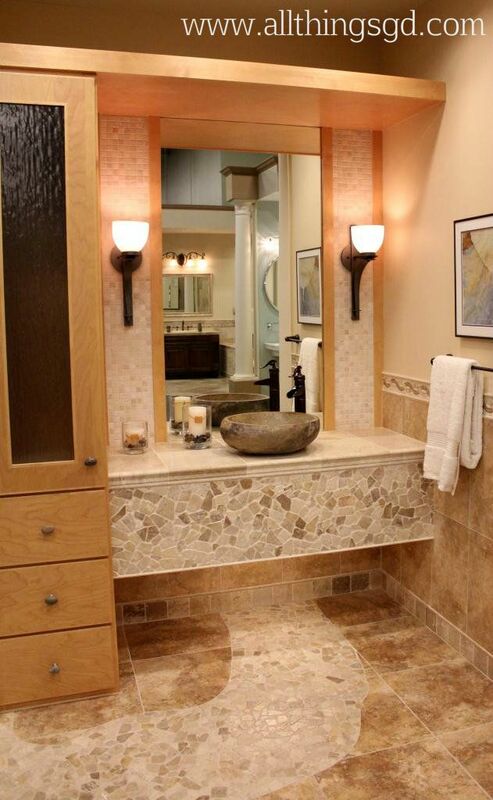 Not sure which color of grout to choose for your glass and stone mosaic tile? Check out the kitchen display around the corner, and try not to drool all over that stunning slate floor. 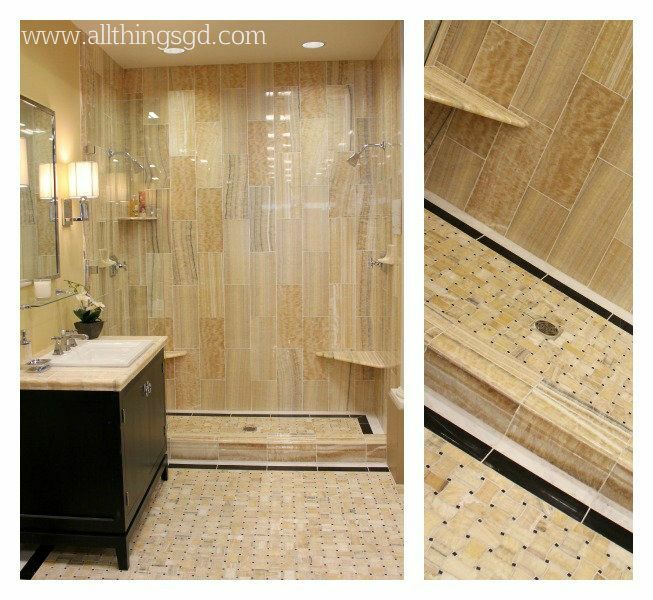 There are so many breathtaking displays using tile in ways I’ve never even considered that I get Tile Shop tingles just walking in the door! 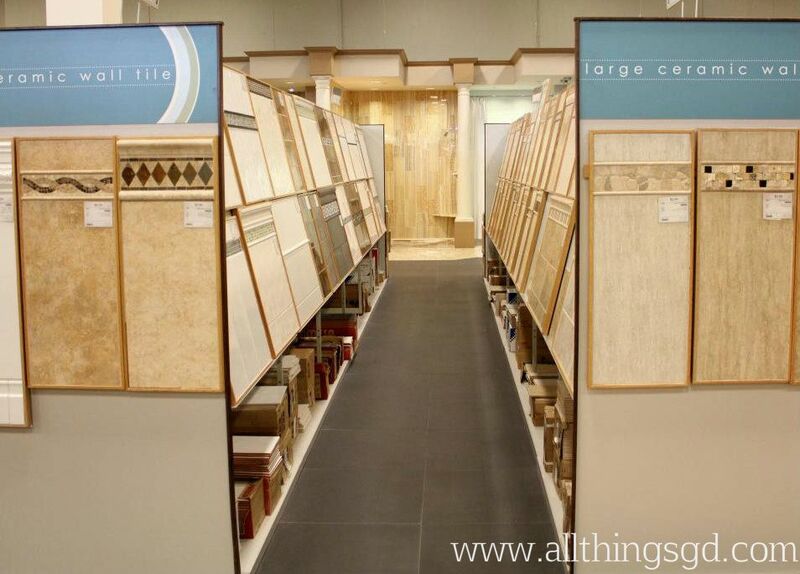 The inside aisles of the store are lined with thousands of tile samples (organized by tile type) that are already grouted, giving you a great idea of their finished look. 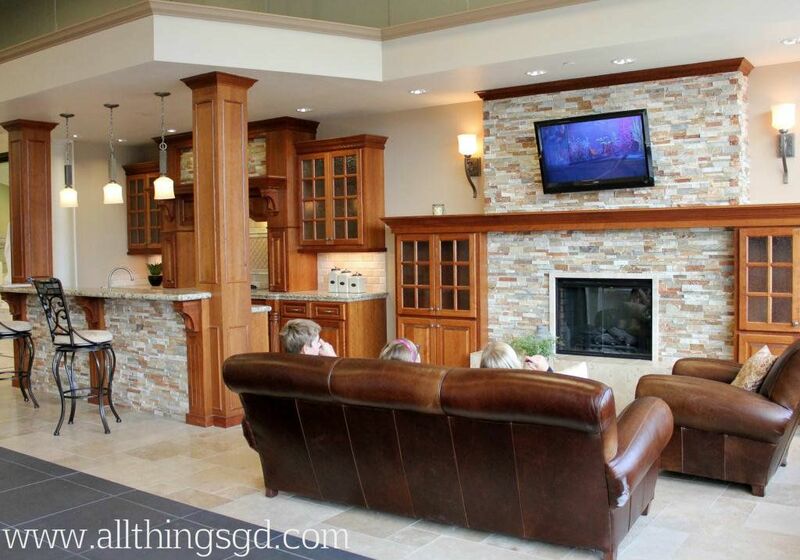 Below these displays are samples you take with you to see how your options will look in your own home – a must for this girl! 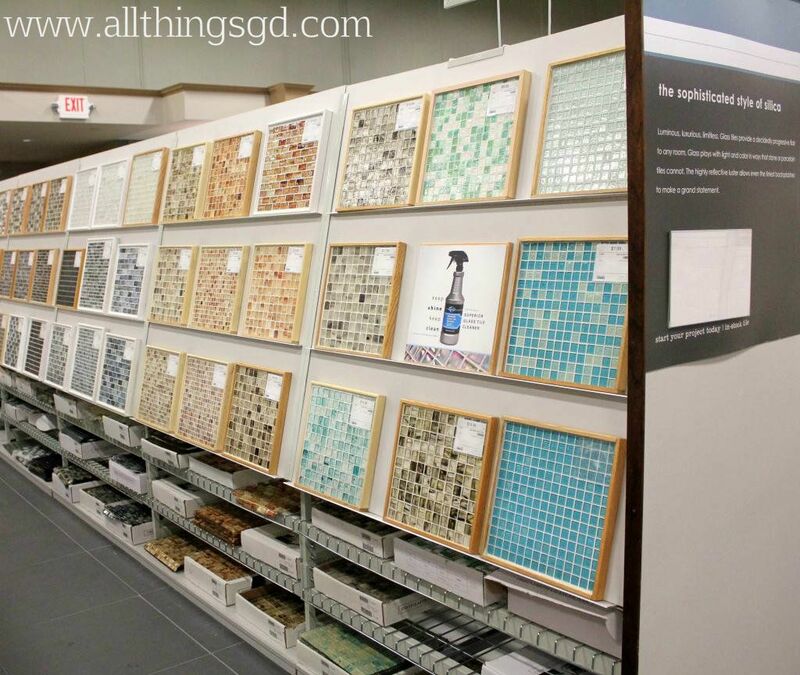 Equally impressive as all this gorgeous tile are The Tile Shop employees! Talk with any one of their knowledgeable employees and they’ll help you weigh the pros and cons of your options. 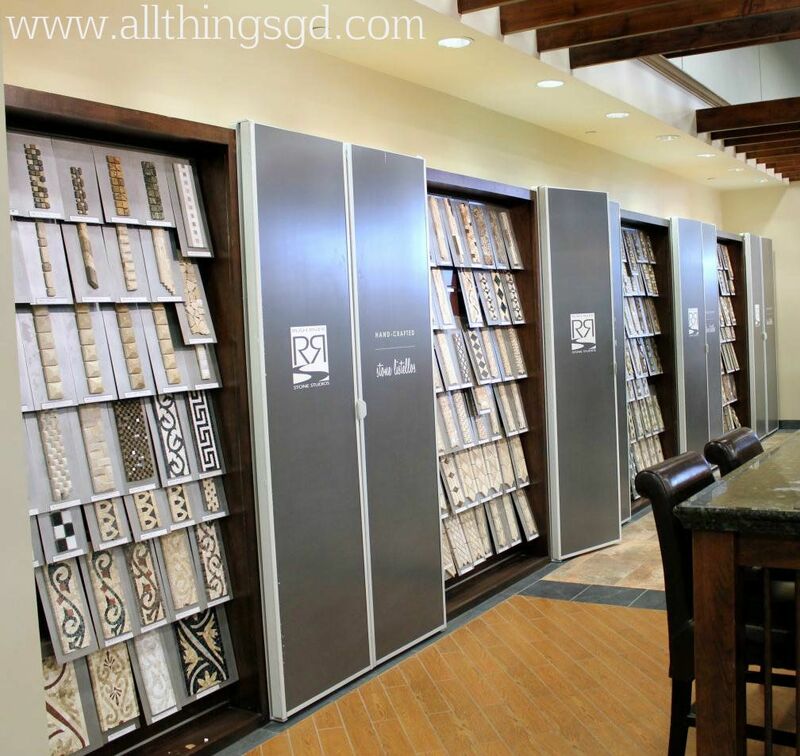 My friend Tiffany and her husband Daniel did just that when they came to The Tile Shop to select materials for their recent bathroom renovation. 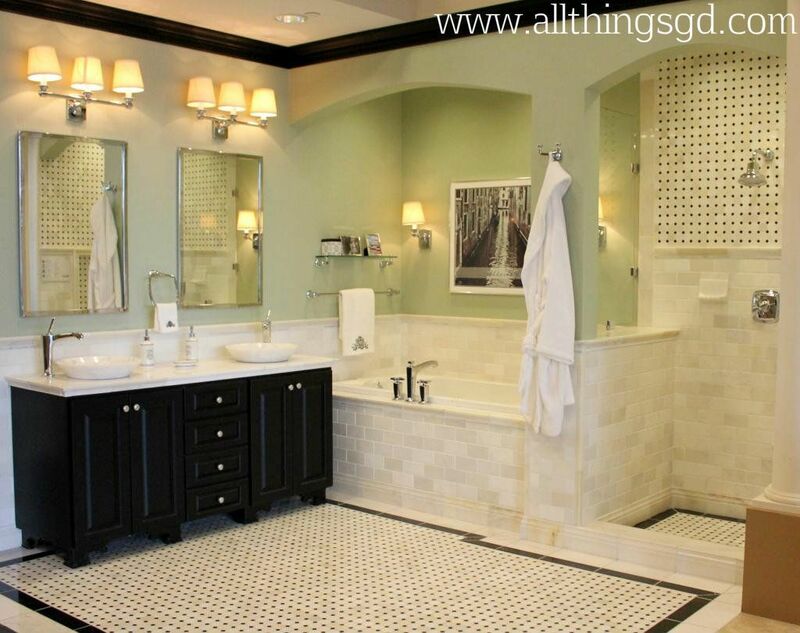 They had already decided on white subway tile and were looking for some decorative trim. 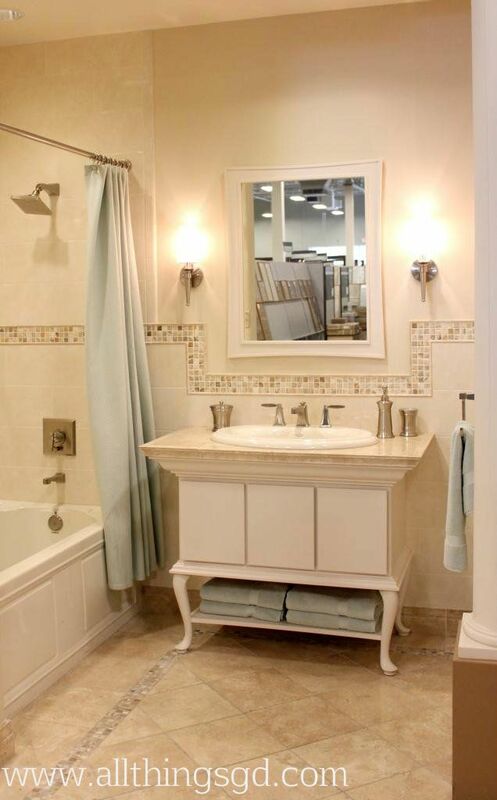 They figured they would go with white grout since they were using white tile, but a Tile Shop employee showed them a sample of how white grout can actually yellow over time and is therefore not the best option when working with white tile. She suggested they go with a light gray grout instead. 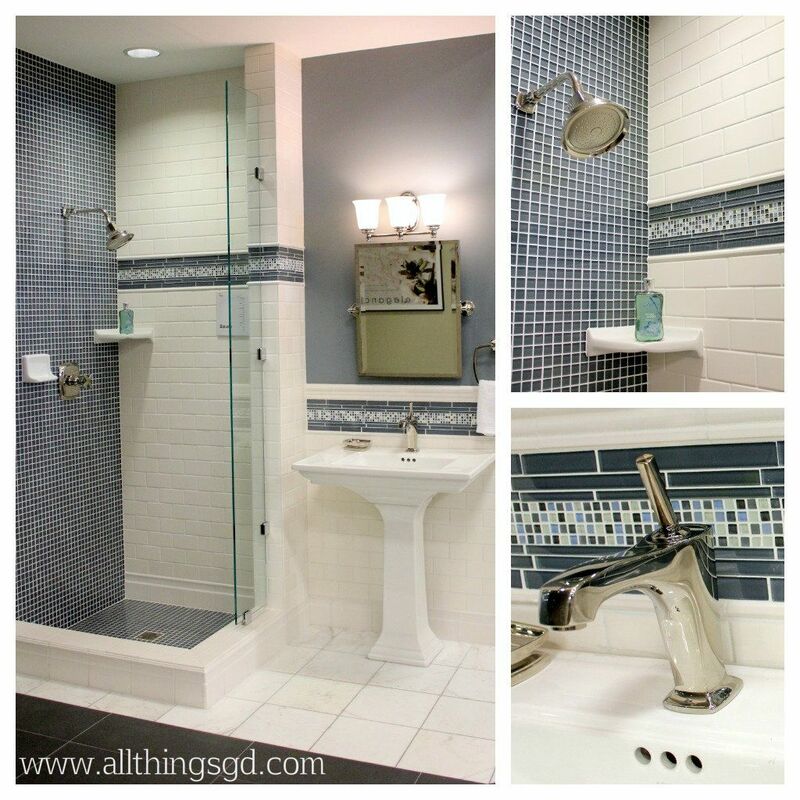 Gray grout was something they would’ve never even considered – even their contractor raised his eyebrows at it – but it looks stunning in their new bathroom and really makes those white subway tiles pop! 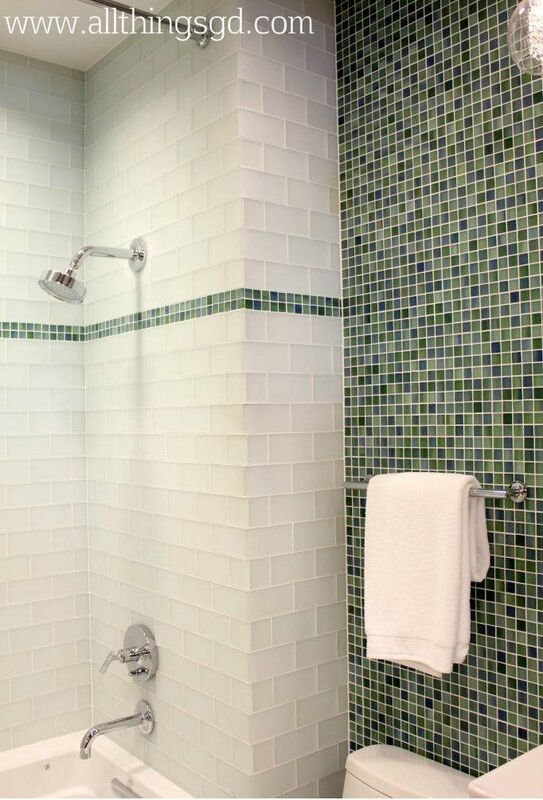 Thank goodness they stopped at The Tile Shop for some expert advice before spending all that money on a bathroom remodel that would’ve looked dingy in a few years. You won’t find that kind of service and specialized knowledge at a big box store! 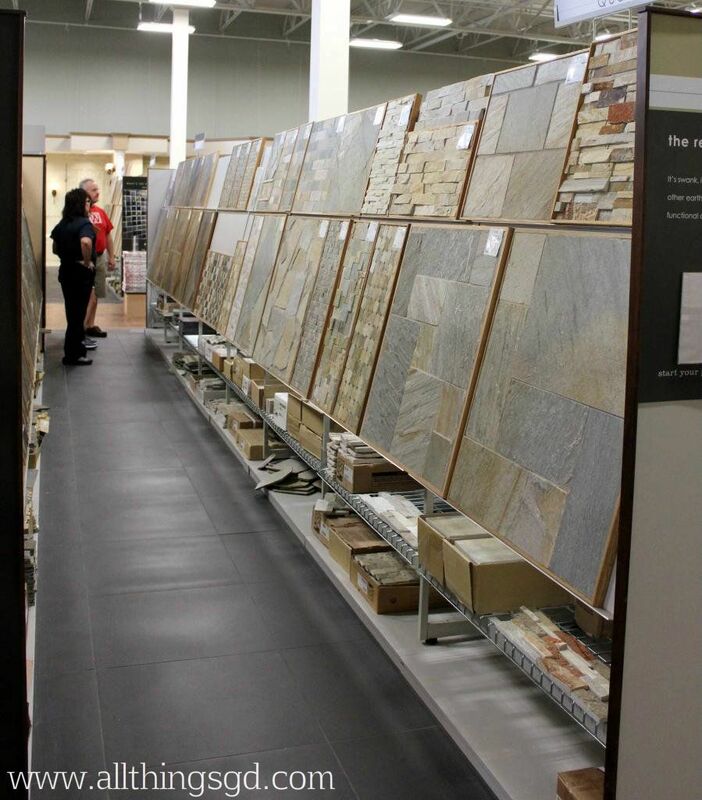 Now that I’ve introduced you to my local store, fess up – you’ve got The Tile Shop tingles too, don’t you? Disclaimer: The Tile Shop has provided me with products for this series, however, all opinions are my own. 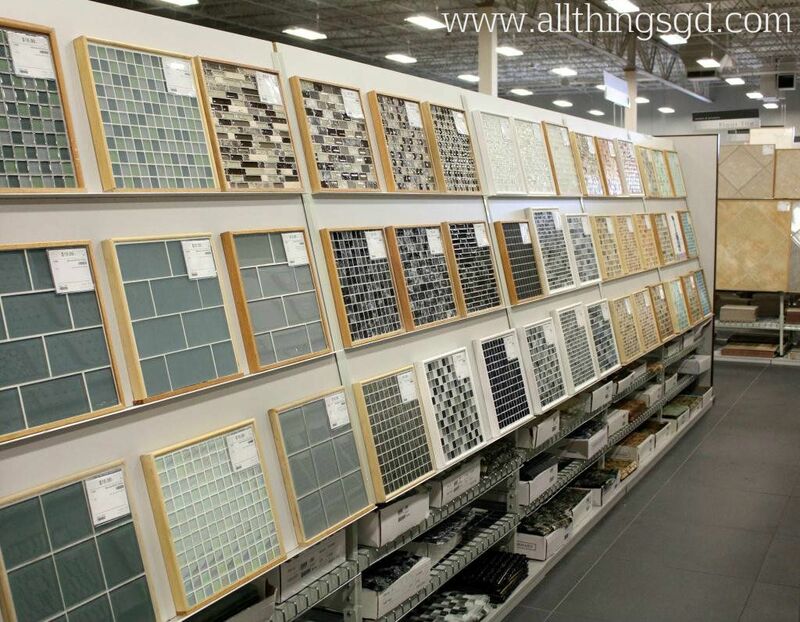 I love the Tile Store! 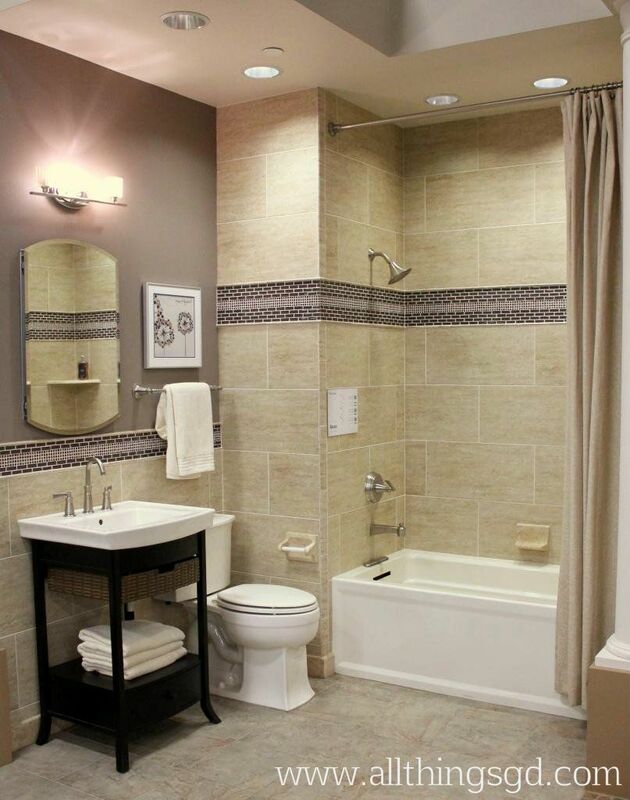 My hubby & I go in frequently to drool over the bathroom models — he dreams of a door/curtain-less double shower (like the one you pictured above). 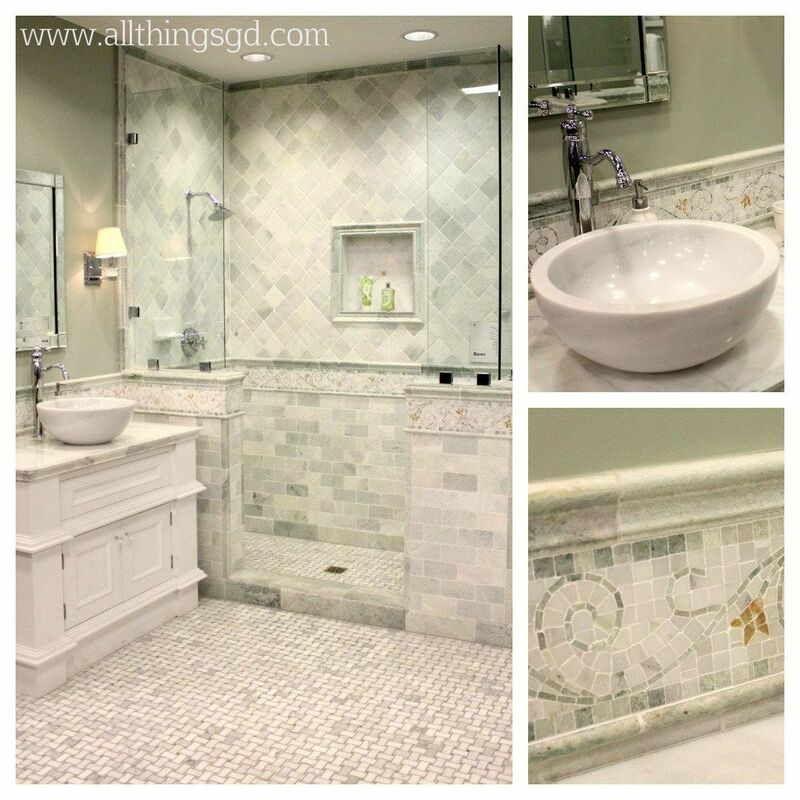 Can’t wait to see & hear about your tile project! A backsplash is on my DIY To-Do list, so your knowledge couldn’t be more timely! I’m with you. 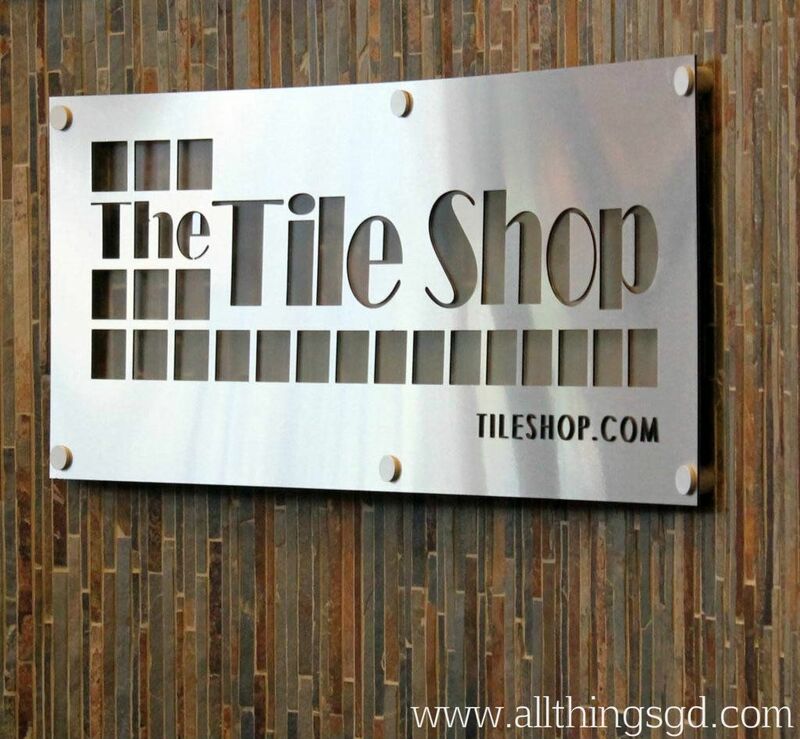 I swoon over The Tile Shop! Dang! I love the real displays, genius. 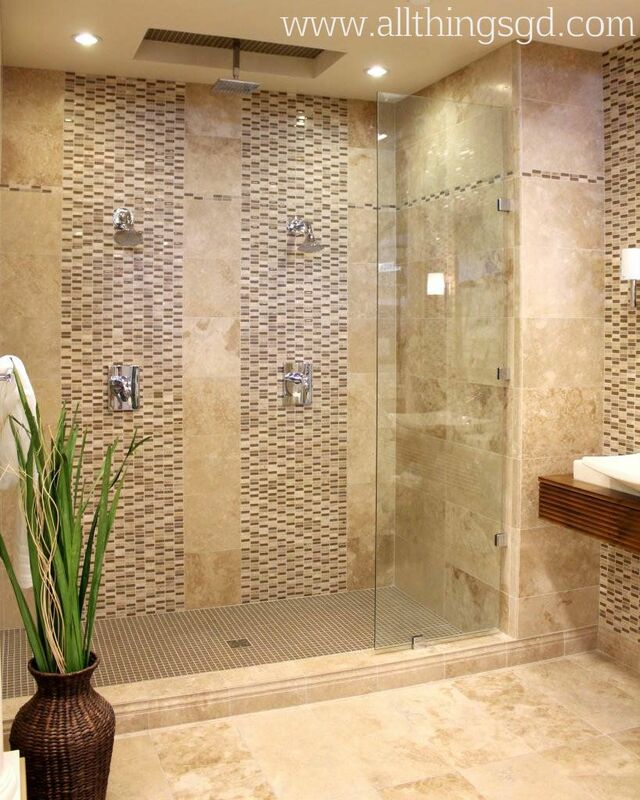 All that glass tile has me drooling!